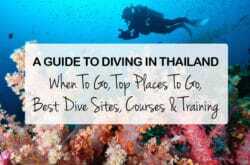 Getting from Bangkok to Chiang Mai is really easy and you can get there by plane, train, bus and by minibus. 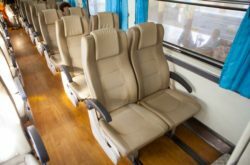 The distance between Bangkok and Chiang Mai is around 680 kilometers so it’s quite a long journey if you are not flying, however each of these methods of transport provide a comfortable, enjoyable journey are easy and convenient to book. 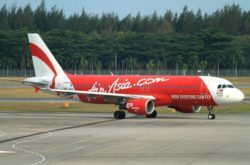 Taking a flight is undoubtedly the most convenient way to travel from Bangkok to Chiang Mai, however other methods of transport also have there advantages, here we take a look at the different ways of how to get from Bangkok to Chiang Mai, look at the pros and cons and help you decide which way is the best for your trip. Hey there, just a quick note. There are some affiliate links in this post, meaning, at no additional cost to you, we will receive a small commission if you book or make a purchase through one our affiliate links. This has no impact on our content, we simply review and recommend helpful and useful things we love. Thank you for supporting our website in this way! 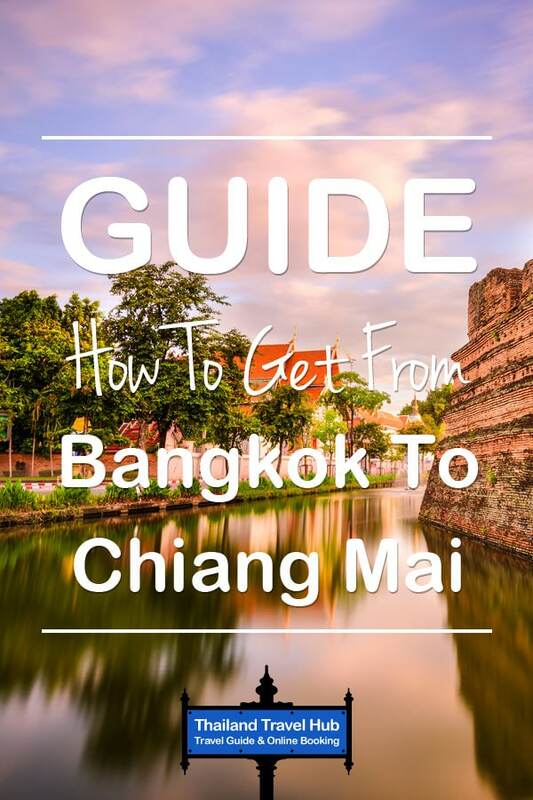 Getting a flight from Bangkok to Chiang Mai is very easy, convenient and now relatively cheap. 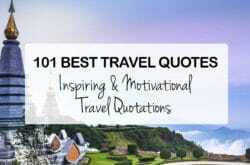 There are a number of airlines to choose from including Air Asia, Lion Air, Nok Air, Bangkok Airways and Thai Airways. The short journey to Chiang Mai takes around one hour and twenty minutes, with departures from both Suvarnabhumi International Airport and Don Mueng International Airport. 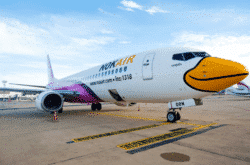 The budget Airlines of Air Asia, Lion Air and Nok Air all depart from Don Mueng International Airport, these carriers are considerably cheaper and if you are flexible with the times you fly it’s possible to get a flight for as little as 1000 baht. 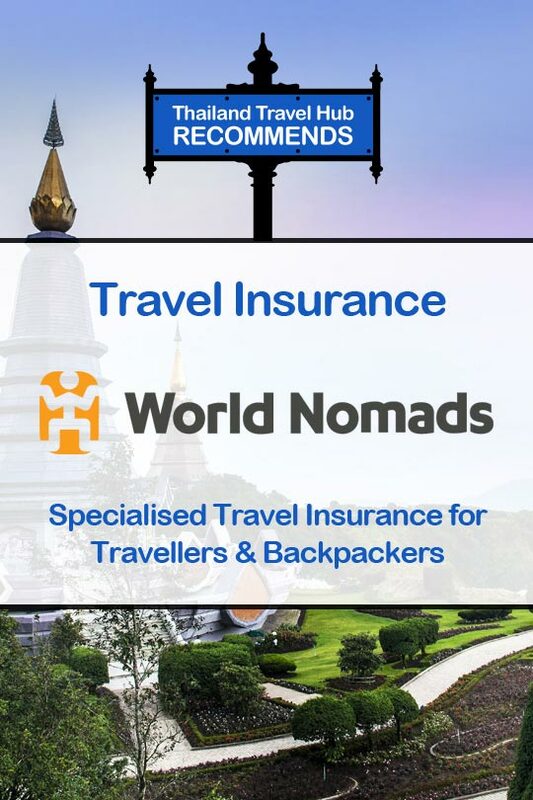 Thai Airways and Bangkok Airways are both based at Suvarnabhumi International Airport and while these to tend to be a little more expensive, they offer a fantastic service and may be more convenient for you, depending on where you are staying in Bangkok. 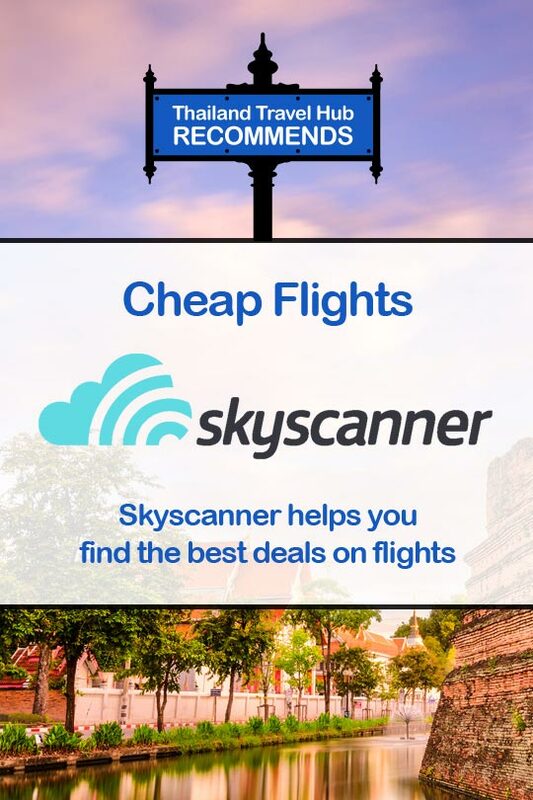 Each of these airlines have an easy-to-use online booking system on their websites, you can also get some great deals by searching and comparing flights on Skyscanner, a metasearch engine for flights or booking sites such as 12Go.asia. If you are looking for a really cheap flight, try searching for flights really early in the morning or late at night and try to avoid flying on Friday, Saturday and Sunday’s as prices increase a little at the weekend. 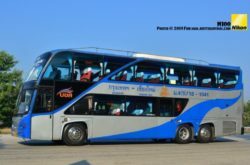 Travelling by bus from Bangkok to Chiang Mai is also a popular choice, it’s easy, very affordable and comfortable enough for the 10 hour long journey. 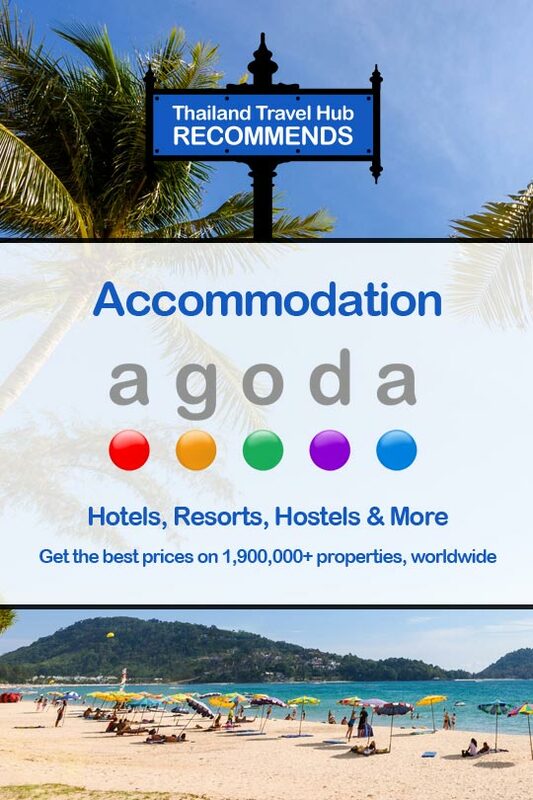 There are a number of bus services available from Express, VIP, VIP24 as well as Mini Buses. Almost all buses going to Chiang Mai depart from the Northern Bus Terminal (Mo Chit), which is the biggest and busiest bus station in Bangkok. 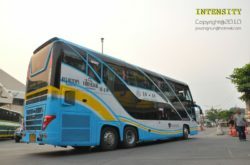 The Northern Bus Terminal (Mo Chit) connects the city to the Northern, Central, North East and Eastern provinces of Thailand as well as neighbouring countries such as Laos and Cambodia. The Northern Bus Terminal (Mo Chit) is absolutely huge, luckily there are plenty of helpful staff in the station to direct you if you need assistance getting to the correct platform. 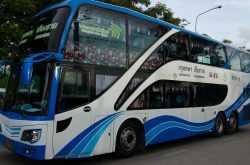 The Northern Bus Terminal (Mo Chit) is located at 2 Kamphaeng Phet Road, Lat Yao, Khet Chatuchak, Krung Thep Maha Nakhon 10900, Bangkok. Getting to Northern Bus Terminal (Mo Chit) is quite easy, the cheapest and quickest way is to take either the MRT (Metro) to Chutachak Station or take the BTS (Skytrain) to Mo Chit Station. From either station you can take a short taxi ride to the Mo Chit Bus terminal for around 60 baht. 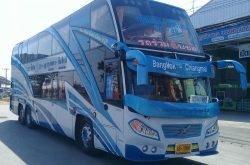 From the Northern Bus Terminal (Mo Chit) in Bangkok you can take the Bangkok Busline Service, Diamond Tour Service, Siam First Service, Lignite Tour (PK) Service, New Viriya Service or the Budsarakham Tour Service. Here below are the departure and arrival times for each service and prices. Getting a sleeper train from Bangkok to Chiang Mai is quite an awesome experience in itself as it takes you through beautiful Thai countryside and spectacular mountainous regions. Taking a sleeper train is quite a popular way of transport for Thai’s, travellers and backpackers so it’s a good idea to book your ticket in advance. 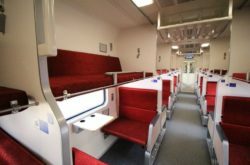 There are range of different classes of comfort available from Class II Ladies Only, 2nd Class AC seats only, 2nd Class Sleeper Fan, 2nd Class Sleeper AC and 1st Class Sleeper. 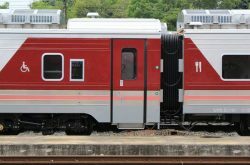 The journey takes a little longer than taking the bus, times vary between trains with the fastest taking 11 hours and slowest being just over 14 hours. 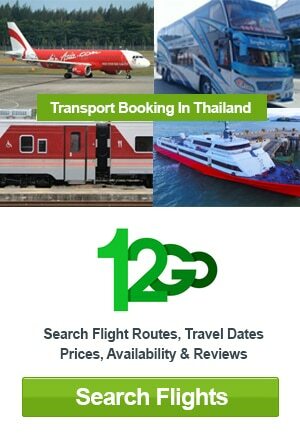 12Go is excellent, easy-to-use online booking service for Trains, Buses and Flights.